Each hymn, song or refrain is divided into 2 parts – words and music. They can be held by the same person or different people. “The words were written by Carol Bechtel, and they were first published and copyrighted by Carol Bechtel in 2011. The copyright is administered by Faith Alive Christian Resources”. This credit line indicates that the words are copyrighted material and the music (tune) is not. To reprint or record this hymn you will need to ask permission or have a license to cover the words. The music is in the public domain and you can use it freely. Yes. Your license (either CCLI or OneLicense.net) covers you for reprinting the words. Be sure to include the correct credit line as well as your license #. My church has a OneLicense.net license. May I copy this music for my choir to use on Sunday? Yes. This is not choral music, it is a page from the hymnal. We do not have any copyright licenses. 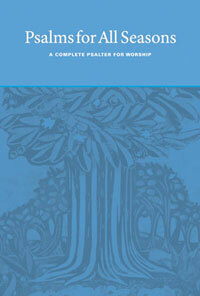 May I reprint this music for my small group to sing on Sunday? You will need to ask permission from the copyright holder. See the Copyright Holder’s Index, pg. 1093. See the Sample Request Letter below. In this case, who do will need to ask permission from Faith Alive Christian Resources (who administers the copyright for Carol Bechtel). You should be prepared to pay a fee for copies made of copyrighted material. This fee can differ, there is no standard. Words: Psalter, 1912, alt; P.D. In this case, the words are public domain, but the music is copyrighted. The copyright is held by Christopher Miner Music, and even though it was newly arranged for Psalms for All Seasons the copyright remains with Christopher Minor Music. Can I reprint the words on a bulletin or powerpoint? Yes. The words are public domain. You do not need permission or a license to print these words. Can I reprint the music, or even just the melody? You will need permission or a license to cover this use. Check your license holder’s website to find out whether or not it is covered by your copyright license. Comply with their guidelines. If it is not covered, check the index on page 1093 for contact information. In many instances in Psalms for All Seasons, the words are taken from scripture. Often the scripture references are noted so that the worshiper will recognize the biblical reference. In most cases, if no other author is noted, the copyright for the song will be the composer. Can I reprint the words of this hymn and assume they are public domain? NO. This hymn is copyrighted by ThankYou Music, administered as is noted in the credit line. Notice this song is administered differently depending on what part of the world you live in. Those in the UK and Europe will apply to Kingsway Music for permission if you do not own a license, and those in N. America will apply to Worshiptogether.com Songs/EMI CMG Publishing.